If you want to celebrate a Chinese adoption or purchase a gift for a friend going through the process, you've come to the right place! Adopting a child is truly a life-changing event and blessing from the Lord. It is an excellent picture of the love God has for us as His children. 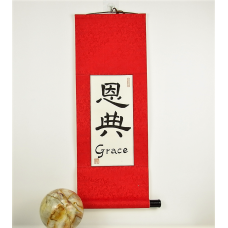 We hope that the adoption themed calligraphy items we offer will be a continual reminder of the grace God has shown to your family on your adoption journey as well as the heritage of your child's birthplace. You can customize a scroll with your favorite Bible verse on adoption or select one from a list of adoption Bible verses we have compiled for you. Or get your child's name on a custom piece of art. 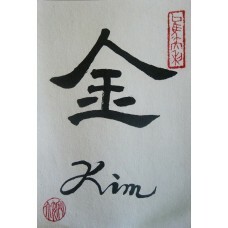 Our expert artist uses the traditional Chinese brush calligraphy style, making attractive and elegant Oriental art that will add an Asian touch of beauty to your home. All our art is 100% custom and hand made. All the scrolls below are between sizes 10 X 20 (inches) and 11 X 32. Our artist will choose the size that fits best for you depending on the length of the text you choose. If you have a specific size request you can leave a note when you purchase. We ship high quality custom art all over the world so order with confidence! 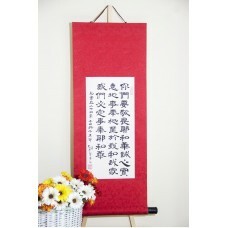 Choose any Bible verse for a custom and hand made Chinese scroll. It is suggested that you choose .. 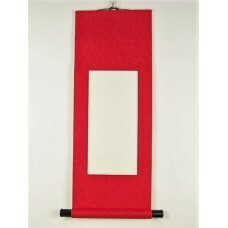 The custom phrase scroll is one of our most popular items. Choose any phrase you want: cool, romanti..